A new study shows that what doesn't kill you sometimes literally makes you stronger. Perhaps the most memorable words about struggle and resilience come from German philosopher Friedrich Nietzsche: "What doesn't kill me makes me stronger." 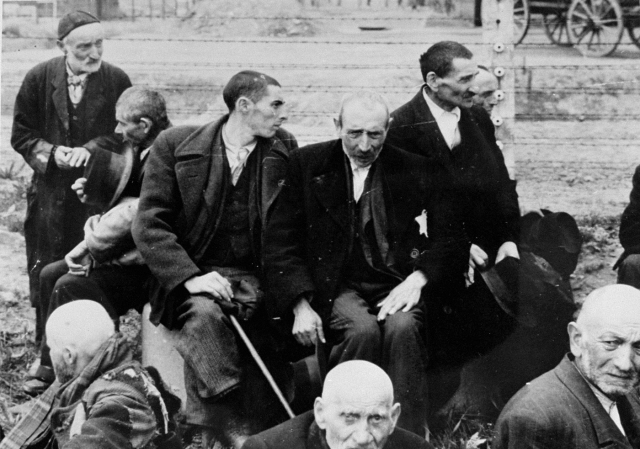 A surprising new study looking at World War II appears to draw the same conclusion, saying male survivors of the Jewish Holocaust lived longer than peers of the same age who escaped Europe before the war. The research, published by the U.S.-based Public Library of Science, compares the lives of 55,000 Polish Jews who emigrated to Israel before and after the war. What it discovers is that men who lived through the Holocaust as boys or young men lived as much as 18 months longer than those who didn't -- an astonishing finding that co-author Avi Sagi-Schwartz says could be attributed to a phenomenon known as "post-traumatic growth." "When we talk about post-traumatic growth, it refers to a positive psychological change experienced as a result of the struggle with highly challenging life circumstances -- things like life-threatening illness, war, abuse, domestic violence, immigration, or the death of loved ones," Sagi-Schwartz says. Genetic research has shown that exposure to profound trauma at an early age can in fact lead to a shorter life span, by permanently damaging chromosomes meant to fight off cancer and other illnesses. But Sagi-Schwartz , a psychology professor at the University of Haifa and a research fellow at the U.S. Holocaust Museum in Washington, D.C., says it's also possible that extreme hardship may infuse survivors with a vitalizing appreciation of life and personal strength that counterbalances earlier damage. The authors of the study have struggled, however, to explain why the same phenomenon has not been witnessed in female Holocaust survivors, who lived as long as their non-Holocaust peers but no longer. Sagi-Schwartz says the discrepancy may be partly due to a natural lifespan "ceiling." Israeli women already live, on average, an extremely robust 84 years, a standard that may be hard to improve upon. But he also notes that women, as a group, are more vulnerable to mental disorders, like depression, that may override any emotional gains they might experience as Holocaust survivors. "We know that the symptom of depression shortens life expectancy. Post-traumatic growth might work to lengthen life expectancy, but depression works the other way around," Sagi-Schwartz says. "And we know that there is a higher rate of depression among females. So females might be less open to post-traumatic growth because they're more liable to [experience] problems associated with depression." The study's authors have also suggested a second, more controversial, explanation for why male and female Holocaust survivors did not both experience longer lifespans, a theory known as "differential mortality." Differential mortality is based on the notion of survival of the fittest: that those who survived the Holocaust were already the strongest and healthiest members of their group. Male concentration-camp prisoners were valued for their physical strength, and sometimes spared extermination in order to be used as labor. With men, therefore, the study's authors say, it's possible to make the case for differential mortality and say the strongest survived. Women, however, were used far less often for labor, meaning their individual physical health, which might have guaranteed them a longer life under ordinary circumstances, was of no particular advantage when it came to the Nazis' extermination policy. Sagi-Schwartz says the theory of differential mortality has proved contentious in Israel, where people are reluctant to believe that any of the Holocaust's estimated 6 million Jewish victims earned their fate because they were weakest. But he says it still merits consideration as a possible explanation for why male Holocaust survivors live longer. "We know that the extermination was so brutal and systematic that even stronger people could not escape it," Sagi-Schwartz says. "But those who were not randomly selected to be exterminated immediately -- those who were living in ghettos, those who were in camps -- somehow managed to keep their life going on under very difficult circumstances, with lack of food, lack of medical services. So maybe the stronger managed to survive, and in that respect, we might see at least partly the explanation of differential mortality." It remains to be researched whether longer lifespans have been recorded among males in other post-trauma populations -- survivors of Stalinist prison camps, Ottoman-era Armenian massacres, or the intensifying war in Syria. But Sagi-Schwartz says it's likely the same trend could be witnessed across a range of communities and conflicts. "The theory of post-traumatic growth is a possible explanation for what we see in the Holocaust," he says. "There's no reason it shouldn't work for other groups who have experienced similar kinds of atrocities."